Andrés Gómez, who was one of the 12 members of the Alianza Martiana who were in Cuba to vote on the new Cuban Constitution on February 24, writes about the election. Cuba celebrated the 60th Anniversary of the entry of Fidel and the Rebel Army into Havana with a Freedom Caravan featuring combatants who participated in that triumph. Gloria La Riva was there and interviewed some of the participants. The Cuba-Venezuela Solidarity Committee is dedicating our “Giving Tuesday” appeal to express solidarity with visually-impaired people in Cuba, and to help overcome the devastating effects of the U.S. blockade. We are asking everyone to donate $25 for this worthy cause. Please help if you can. After six years of bringing health care to poor Brazilians, Cuba has been forced to discontinue its internationalist mission participating in the “More Doctors in Brazil” program thanks to the hostility of newly-elected Brazilian President Jair Bolsonaro. Read the statement from the Cuban Ministry of Public Health. 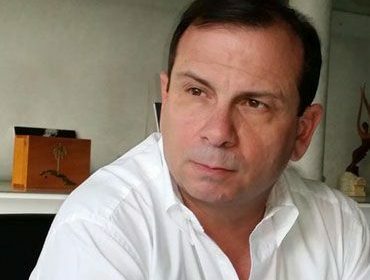 El presidente del Instituto Cubano de Amistad con los Pueblos (ICAP), Fernando González Llort, acusó al imperialismo estadounidense de intentar desestabilizar a otros países del mundo.